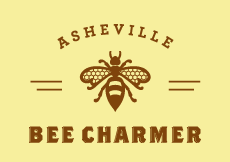 Recently I got the opportunity to provide some advice about methods of infusing honey with the wonderful Jillian of Asheville Bee Charmer – a delightful day surrounded by bee and honey related products, and a HONEY TASTING BAR. No kidding. I mean, really. Honey from Africa, France, Ireland, and of course, the US. There’s the dark, rich carrot honey, an amazingly toe-curlingly rich Dandelion honey (a jar came home with me) and well…I could go on for hours. If you come to Asheville, VISIT THEM! If you can’t visit, you can order honey & other products online! I’ve researched all sorts of methods of composting toilets and how to deal with/use grey water and black water in a safe manner, but this vermicomposting toilet is a new one on me! A whole new method to consider in my future off-grid/low-impact housing plans. The National Forest service wants to log Big Ivy. Care to help us local folks put a stop to it? Sign the petition here. Tis the season for greens in your CSA box…sick of smoothies? Tired of kale chips? Here’s a recipe for Kale & Apple Soup! Like mulled wine? What about MULLED WINE JELLY?! Mountain Rose Herbs is partnering with the American Herbal Products Association’s Foundation for Education and Research on Botanicals. In collaboration with the Missouri Botanical Garden and the Rio Grande National Forest Service, they are raising funds to continue a study that will help determine the range, availability, and recovery rate of Osha (Ligusticum porteri) after harvesting from the wild. Here’s their whole article…but the jist of it is that during the month of February, Mountain Rose Herbs will match your donation dollar-for-dollar up to $2,000 to fund this study! This weekly post is brought to you by Mountain Rose Herbs!